Should I Buy Whole Beans or Ground Coffee? – Regular Coffee Co.
Should I Buy Whole Beans or Ground Coffee? Choosing between ground and whole-bean coffee shouldn’t have to be a puzzle. Here at Regular Coffee, we believe great coffee can and should be simple. There are compelling reasons to grind coffee beans at home, and there are just as many valid reasons to let us do the work of grinding for you. So which option would suit you best? Keep reading to find out. When it comes to the difference between ground and whole coffee beans, flavor preservation is what sets the two apart. Whole beans preserve the coffee oils that give your cup of joe its flavor, only releasing them at the moment the grinder breaks up the beans. When these oils are exposed to air over a long period of time, the ground coffee loses some (but not nearly all) of its flavor and aroma. However, this shouldn’t deter you from using coffee that’s ground ahead of time. If you love savoring every nuanced flavor note in your cup of joe, buying whole beans is the way to go. Whole beans preserve the oils that give coffee its flavor and amazing smells. When you grind just before brewing, those oils are released at the last possible moment, making for a rich, flavorful cup. Keep in mind that from a flavor perspective, you need to grind your coffee right before brewing to get the full benefit of grinding your own coffee. Unless you just love the ritual (and lovely smell) of grinding coffee, there’s not much point in buying an expensive grinder and grinding coffee at home if you grind it in big batches for the week or month. If you like adding milk, sugar, or creamer to your coffee, already-ground coffee is your friend. The richness of your add-ins will give your cup of coffee a flavor boost. Pre-ground coffee is also just fine if you don’t fret about achieving the perfect flavor in your coffee and you primarily enjoy a good kick of caffeine. (Lots of coffee snobs judge people for this, but we’re not in that business). Even if you grind your coffee ahead of time or buy coffee that’s already ground, you can still stake steps to preserve its flavor. To combat any flavor atrophy, stick to high-quality coffee that’s ground and packaged shortly after roasting (like Regular Coffee), store it in an airtight container, and make sure you’re drinking it in a timely manner rather than letting it sit around for months. When you’re brewing your morning cup, timing is everything. Whether you have an hour to get ready or just a few minutes, there’s a bean for every schedule. If you like the ritual of lovingly hand-brewing each cup of coffee, you should purchase whole beans. Grinding your own beans each morning allows you to craft your cup from start to finish. Depending on your brew method, you may need to weigh, grind, and hand-pour your coffee. These steps make for a high-quality cup but require extra time commitment. If that’s your jam, great! Whole bean coffee is for you. Time is money, and from that perspective, ground coffee is by far the most efficient choice. For the busy morning routines, pre-ground beans let you scoop and go without the hassle of grinding (loud), measuring (tedious), and manually brewing (a lot of work, am I right?). Ground coffee is also the best option in an office setting where you’re making multiple pots of coffee each day, or when you’re entertaining a large group of people. Overall, buying ground coffee is a low-hassle and versatile option that makes plenty of sense for people with busy schedules. From French press to drip brew, there’s a grind for every brewing method. Using the right grind can make or break a cup of coffee. If you like to switch up your brewing method, you’ll benefit from the flexibility of grinding your own beans. Different brewing methods require different grind settings, from ultra-fine (espresso) to very coarse (percolator and French press). So, if you love a good cup of French press coffee on the weekends, you’ll want a very coarse grind. If you’re all about a Chemex, a medium-coarse grind is where it’s at. While the difference in grind calibration might seem negligible, it makes a big difference for the result. Whole beans allow you to adjust your technique, switch between brewing tools, and have complete control over your coffee-drinking experience. Ground coffee is a great option for folks who love consistency and stick to a brewing method that works for them. Most coffee companies (including Regular Coffee) grind their coffee at a medium grind to make it play well with the most popular brewing method, which is a drip coffee machine. (A medium grind will also work well for a pour-over brew.) 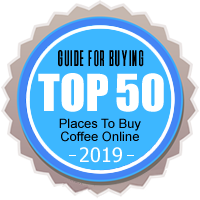 If you have one coffee maker you like, and that coffee maker functions best with medium-grind coffee, then buying ground coffee will serve you just fine. At Regular Coffee, we’re bringing simple back. Our coffee is 100% Colombian and roasted shortly before shipment for maximum freshness. If you’re looking for approachable, high-quality coffee that’s delivered to your front door, look no further. Just visit our “Get Coffee” page to set up your first order!